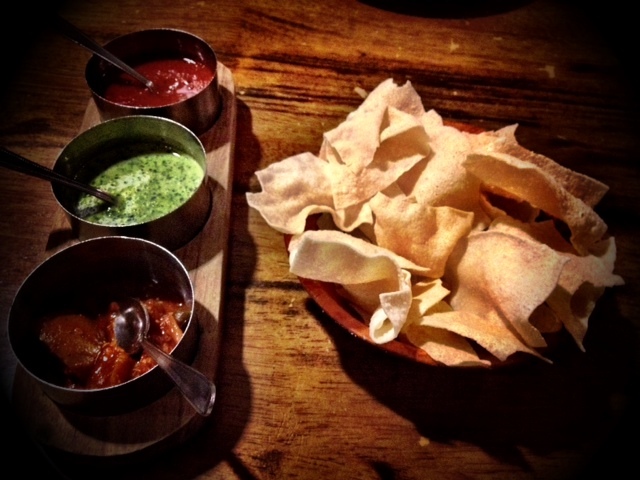 In Glasgow we’re spoiled for choice when comes to Indian food. So never settle for mediocre! You will remember the first bite – and the next, and the one after that because at Dhabba every single dish is bursting with new and wonderful flavours. Every mouthful is a delight. This laid-back Merchant City locale boasts authentic and traditional dishes from North India* using the freshest of ingredients and intriguing combinations of spices and seasonings. The result: mouth-watering, refreshingly light and perfectly portioned food – thankfully no threat of discomfort or popping your trousers here. Amiable service with a sly smile – perhaps because they know you’re in for a taste sensation. And they’re happy to guide you in the right direction if you’re not quite sure what to choose from their extensive selection of tempting dishes. We finally opt to start with Aloo Ke Soole – deep fried croquets of minced potatoes, paneer, fried onion and spices with a touch of fenugreek (£4.95), followed up by the mushroom and paneer based Bharloan Dhingri (£4.45). Daal is a popular dish but with its rich fusion of flavours the Pilee Daal Tadka (£7.25) is a certainly far from ordinary. And the Aloo Gobi Matter Masledar’s florets of cauliflower, potatoes, peas and chilli blend (£8.25) are equally as delicious. Even the garlic nann and rice fused with cumin seeds impress. 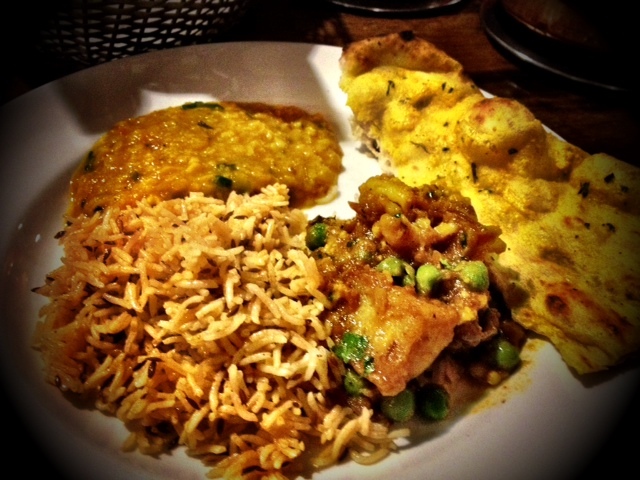 If you’ve never had Indian food before – what are you waiting for – start here! And if you’re a seasoned curry connoisseur but never experienced Dhabba, treat your taste buds. Just over £45 for several rounds of drinks and endless food is a sweet (savoury) deal. So go on, celebrate food – celebrate life and choose Dhabba. Your mouth will sing because really, everything should taste this good! *Admittedly I’m not an expert on North Indian cuisine but I know good food. And this is it!